She presents programs at libraries throughout the greater Chicago metropolitan area and for organizations such as the Illinois Municipal Retirement Fund. She also writes for University of Illinois Extension’s Plan Well – Retire Well blog. From 2013 through 2016, she led a team of Extension educators to create All My Money: Change for the Better, an all-new version of this train-the-trainer curriculum for social service agencies and others working with limited resource audiences on basic money management skills. Karen was one of the founding Money Smart Week partners in 2002 and has been an active partner throughout Money Smart Week’s history. From 2012 to 2016, Karen served as the Illinois Chair for Money Smart Week, coordinating financial education efforts around the state for the Federal Reserve Bank of Chicago. Karen holds the Certified Financial Planner™ designation. She uses that training to teach rather than practicing as a financial planner. She writes and presents on a wide range of topics, from credit history to strategies for maximizing Social Security benefits, from basics of investing to how to make your money last in retirement. Her goal is to make even complicated subjects easy to understand so that you can make wiser decisions with your money. Karen holds a master’s degree in family and consumption economics from the University of Illinois at Urbana-Champaign and a bachelor’s degree from Virginia Tech. Karen received the Chancellor’s Academic Professional Excellence Award from the University of Illinois at Urbana-Champaign in 2009. 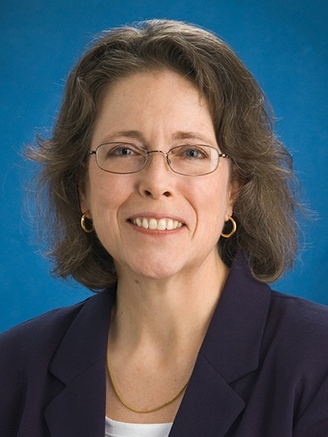 She was named the 2007 Educator of the Year by the Association for Financial Counseling and Planning Education (AFCPE), and received the 2003 Professional Staff Award for Excellence in Innovation and Creativity from the College of Agricultural, Consumer and Environmental Sciences, University of Illinois at Urbana-Champaign. She is a member of the Association for Financial Counseling and Planning Education, the Financial Planning Association, and the Family Economics-Resource Management Association. She is an academic affiliate with the National Association of Personal Financial Advisors.